Our swing gate motor range includes small battery-backed units for gates up to 300 kg, right through to large industrial swing gates of 800 kg. 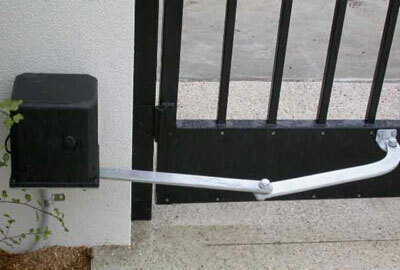 We have special “folding arm” swing gate actuators that will allow gates to open up to 180 degrees. Some of our units are capable of solar panel operation. All swing gate units can be operated with our range of accessories.